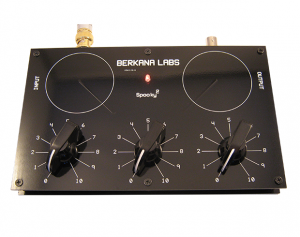 This three dial radionics device was designed to be affordable and powered by the Spooky2 XM generator. 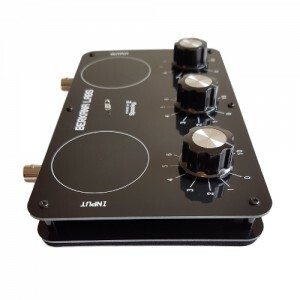 Whereas other radionics devices on the market sell for thousands and do very little, this one is a mere fraction of the cost and is extremely versatile. We have also added a few new accessories for the instrument, with many more products to come. There was a real need for a low cost, simple, and elegant radionics instrument that could directly incorporate frequency therapy. As a result Spooky Radionics was born. 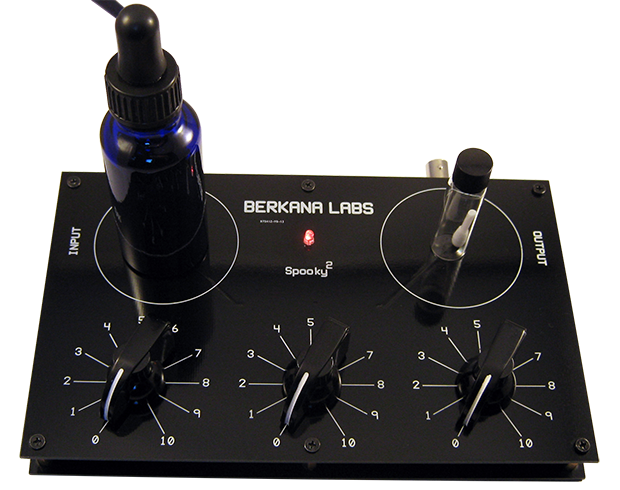 The 3 dial device is the first in a line of expertly engineered radionics apparatus developed by Berkana Labs for use with Spooky2. Spooky Radionics has a number of standard radionics functions which are featured below. It allows you to expand on the incredible power of Rife frequency therapy with Spooky2 and deliver tailored remedies to suit your needs. By selecting various Rife frequencies from the Spooky database, you can tailor your remedies to contain all the power of Rife frequencies in a bottle. Using the transfer process you can make remedies from herbs and essential oils all combined with Rife, or any frequency of your choosing. 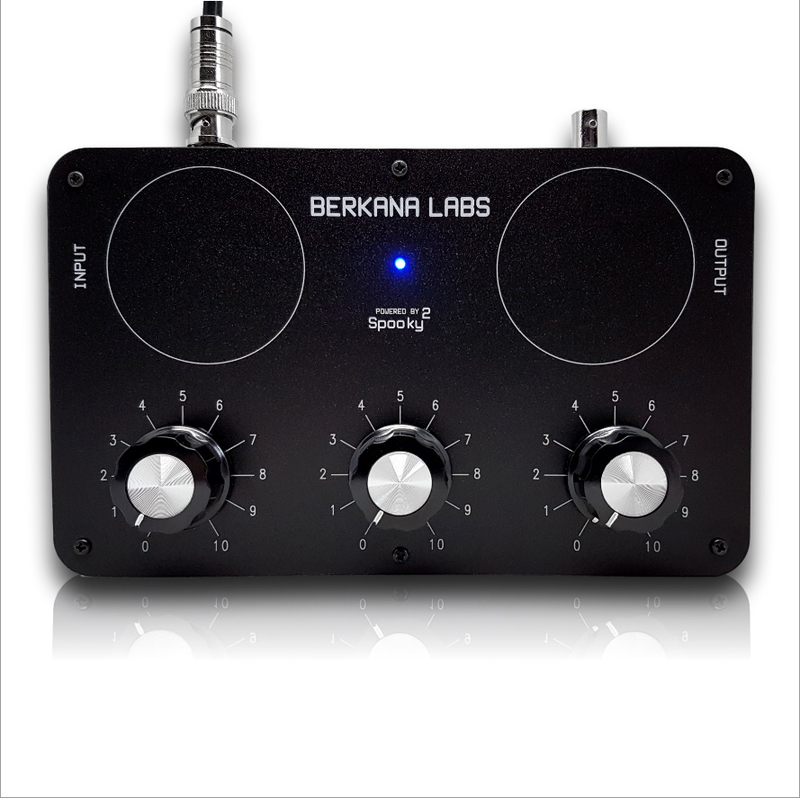 In addition, by using the tuning dials you can imprint remedies with radionic rates. Just like the Spooky Remote you can broadcast the frequencies directly to the person being treated. However, with radionics you can also broadcast your newly created remedy, vitamins, supplements, essential oils, herbs etc. You can even broadcast the health benefits of your favourite gems and minerals. There are lots of possibilities with Spooky Radionics. With Spooky Radionics you can analyse the witness/DNA sample of the individual being treated, and set a radionic balance rate to treat them. You can also analyse other samples, and set balance rates accordingly, or simply tune into them for more effective remedies and broadcast treatments. Like many other radionics machines, you can also use Spooky Radionics for wish fulfilment and manifestation. Those manifestation broadcasts can be supercharged with any frequency of your choosing from the Spooky database, or customised to suit your needs. 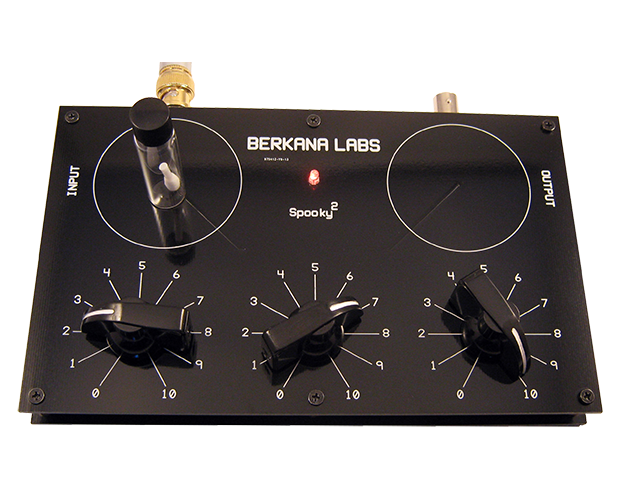 With Spooky Radionics the potential is limitless. All of our products are modular so they can be integrated with one another. Utilising the vast frequency database of Spooky2, the powerful 5MHz signal generator, and your conscious intent, you are limited only by your imagination. 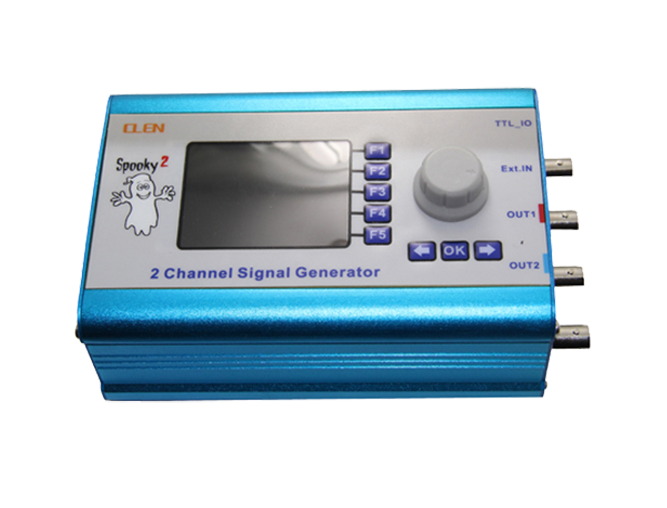 Spooky Radionics is designed to be powered by the versatile Spooky2 5MHz signal generator. 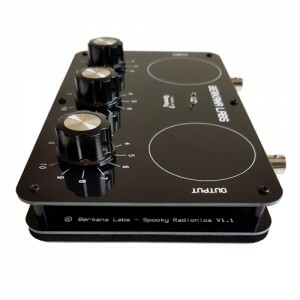 You simply connect your Spooky2 generator to your Spooky Radionics device, and you can begin to leverage the incredible power of Rife and Radionics in one elegant and streamlined instrument. This will help you get to grips with the functions of the device and know exactly what you need to get started with this instrument. 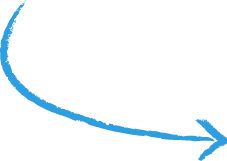 The manual covers all the connections required, and step by step visual and written instructions for various protocols. You can open and download the PDF manual by clicking the PDF icon. 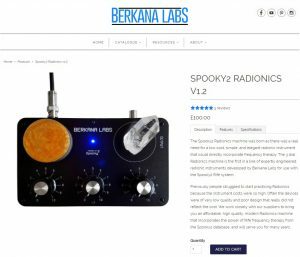 I recently received a Spooky Radionic device from Adam Waldock of Berkana Labs and I have been most impressed with this device both in quality and its performance. By profession I am an Acupuncturist, Homeopath, Cranial therapist and a Radionic practitioner, in addition to this I also trained as an Osteopath. I have been practising Radionics professionally since 2004, I got into this having had treatment for an injury no other therapy could help with. I felt a cold sore starting so used the chickenpox rate 609 and left my PC run all night. Next morning the budding cold sore was gone. Tree pollen season and my nose started to run. I used my Radionics Box with two chloro-trimatones as witness and transfered them into a glass of water for at least 10 minutes. My nose stopped running. This was my first chance to tell if a pill transfer actually worked. I have it running all the time and usually with the same things. The Young Living oil Peace and Calming, Allegra, and my pink quartz crystal with all the small stones symbolizing the colors of the chakras. I usually drink the water in little sips during the day under the tongue first. I have notice that when I do this, I not only do I feel calm, but I do not have to take the Allegra, since I do not have any allergy symptoms. I imprinted the diabetic freq unto the metformin medicine and the effect is very strong. I have a drop from 22 to 12 reading. Will try again till I reach 7 to 9 reading. I prepared a remedy using a vitamin supplement and I had it tested by my naturopath, who does muscle and energy testing. I didn't tell her what it was. The remedy tested the same as the vitamin, so I don't have to buy those expensive vitamins anymore! My mother has stopped to take pills against dizziness. Sometimes in the morning has dizziness, but she takes remediation prepared by me once or two times before noon, and dizziness disappearing. Totally she takes remedy 4 or 5 times a day. She enjoys this very much, and call me to recall, that I have to prepare more this remediation because it is finishing. My wife has forgot one day to take remediation for allergy. In the afternoon she asked me why I did not recall her about it, because she has shortness of breath and fill something like hard small ball in a throat. She took remedy and in few hours later that symptoms disappeared. I do not need to give her water as placebo J. It is over 2 weeks as she stopped to take pills. The next sample it helps in illness is torticollis. This is very unpleasant back pain what I caught in the begging of this week. When I wrote you I had it, but it was difficult to say if remedy help me. Torticollis goes from back to the neck and depending which side it is you cannot turn your head this side without terrible sharp pain. Only you can turn whole body, you look like paralyzed. And feel the same. You can use the analgesic ointments and measures diastolic and wait about a week that it slowly pass. I checked, that torticollis illness is in Spooky illness database. I broadcasted it as remedy immediately. The first day and night were not so good, but I did not use any analgesic ointment or other medicine. I treated myself as a guinea pig. Only several times a day I took prepared remedy. The next day again remedy and in the evening I felt much better and slept quite well in the night. The third day pain was very little. After the next two days I went to swimming pool. Who had the torticollis knows, that pain cannot allow to do it. But I did not have any pain. It was my fourth torticollis and I know exactly what the pain it is and how long it keeps. I also energized a botanical hydrosol that I normally use on my face. I added a frequency for collagen regeneration and a rate for skin improvement. I had very good results. A couple of blemishes disappeared overnight and my skin looked better overall. I've had a tooth removed some six months ago and the socket and tooth next to it have been a big problem since. Had the tooth repair three times. Still in pain. Socket very painful constantly. So, took the device out of it box. Fixed the earth set up. Did a rate for the socket. Had to have it running for 13 hours. Fixed it. No worries. I am so happy to announce that I just got a dream job offer from a well known company. It is beyond my belief. The job meets all the qualities I asked for. After two weeks I had been running my spooky radionics I got interview opportunities from the company. I had many interviews with many other companies without success before this company. None of other companies is as good as this one. The interview process was three weeks with four rounds of interviews. Today they told me they would offer me with great salary, bonus, home office and other good benefits. It is truly amazing! Spooky radionics helped a lot on my manifestation on the dream job. Thanks a lot to Adam's instructions and advices as well. I would buy one more spooky radionics. Thank you, Adam! My sister only knows I work with frequencies, nothing else. One day, she emailed me, "send me frequencies". So I said, I need your nails. "No, just hurry and send me frequencies, my knees are too painful." She was in foul mood I could tell. 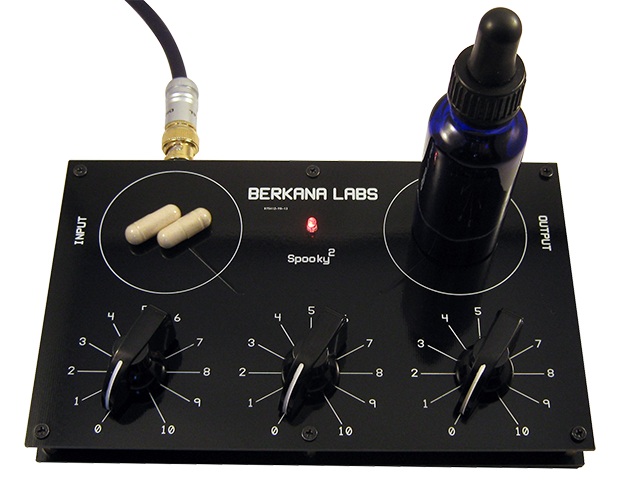 So I was thinking how to use remote mode with spooky2 with0ut nails, then came to my mind to use the Spooky2-Berkana radionics device. I quickly researched pathogens for knee pains. Looked them up in the Spooky2 database and sent them through the radionics device. Input place I put holy water , blessed oils, and a request to heal her knee pain. In Output plate, I put her name with "please heal knee pain". Then said a short prayer to heal her knees. I ran it non-stop 24/7. About a week and a half she emailed me, "The frequencies are working, don't stop it, I can now go up and down the stairs with just a tiny bit of pain, but unlike before where I could not even do a step." It is not healed yet, I turned off all my machines when I left for a vacation in NYC/NJ and she is vacationing in California and the knees are bothering her again. So I will deal with it again when I return in July. Over the course of 2016 Spooky2 Radionics underwent some upgrades and improvements to give way to Spooky2 Radionics v1.1. The most noticeable difference is improved aesthetics. A new blue signal LED which the community voted for. 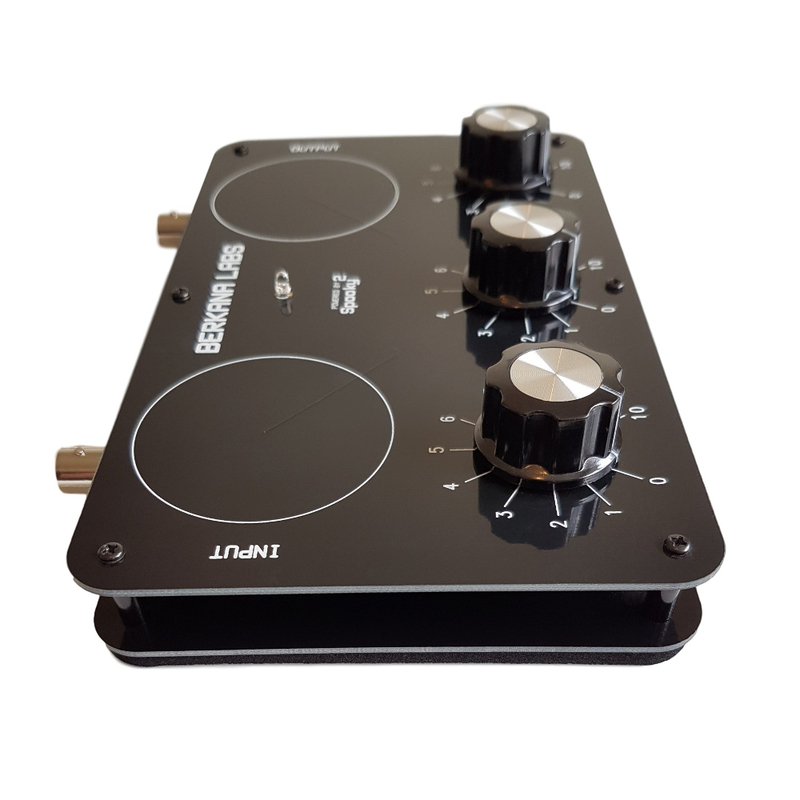 New tuning knobs that are more tactile than the previous version. Rounded corners, and black standoffs. The tuning circuit was also improved and follows de la Warrs design with some enhanced features of my own that improve the tuning range. 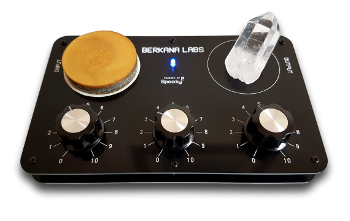 All round it's a powerful device that can enhance any radionic practitioners collection or serve to give you a good grounding in basic radionics as a beginner. 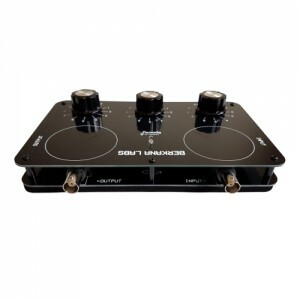 This device is shipped with an RG58 0.5M BNC cable and an RG58 female coupler, which allows you to connect the device directly to the Spooky generator and Boost 3.0 straight out of the box. For this release we have upgraded the control panel with a slightly textured overlay. There were a few technical reasons that we needed to do this, but it greatly improves the appearance. It is a tougher surface, has sharper graphics, is no longer a fingerprint magnet and does not show dust as readily as the previous finish. The new control panel gave us a number of options, one of which was to move the blue LED beneath it so that it is now hidden until lit. This makes it much easier to clean, protects the LED, and gives you more surface space. We reflected this with the version change to V1.2 all pre orders will receive this new version. 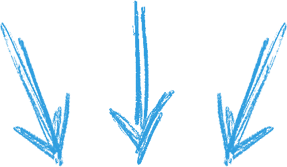 All other functions and design remain the same as the v1.1 detailed above. 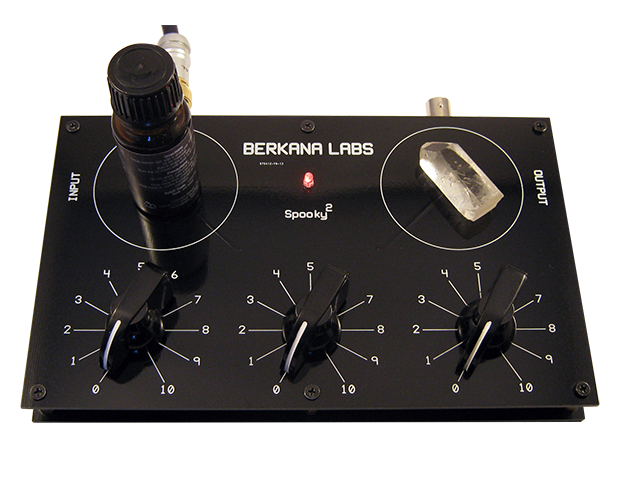 Spooky Radionics and accessories are available from our new store. 60 day money back guarantee and 3 year parts warranty. 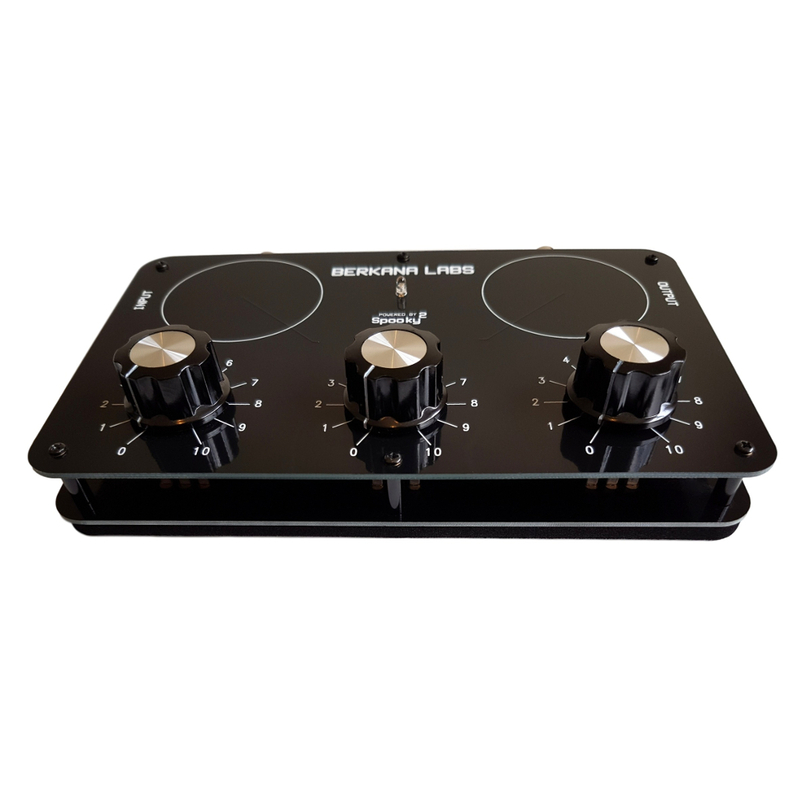 Your purchase is backed up by a 3 year parts warranty, so if at any point a fault arises, you can return your radionics device to have it fully serviced and repaired free of charge. Furthermore, if you are unhappy with Spooky Radionics you have a 60 day money back guarantee so you can return it for a full refund. Individually hand made with attention to detail. Each and every Spooky Radionics device is hand made. 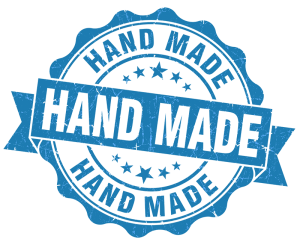 Every order is single handedly built from start to finish ensuring that only the highest quality Instrument leaves the lab. Each order is hand prepared for shipping and discretely labelled also ensuring that there is plenty of packaging for protection. 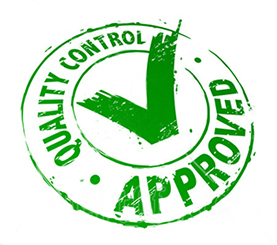 Industry standard quality control procedures. In addition to every device being hand made, all Instruments are also carefully quality checked by hand and run through various mechanical and electronic tests to ensure absolute quality. 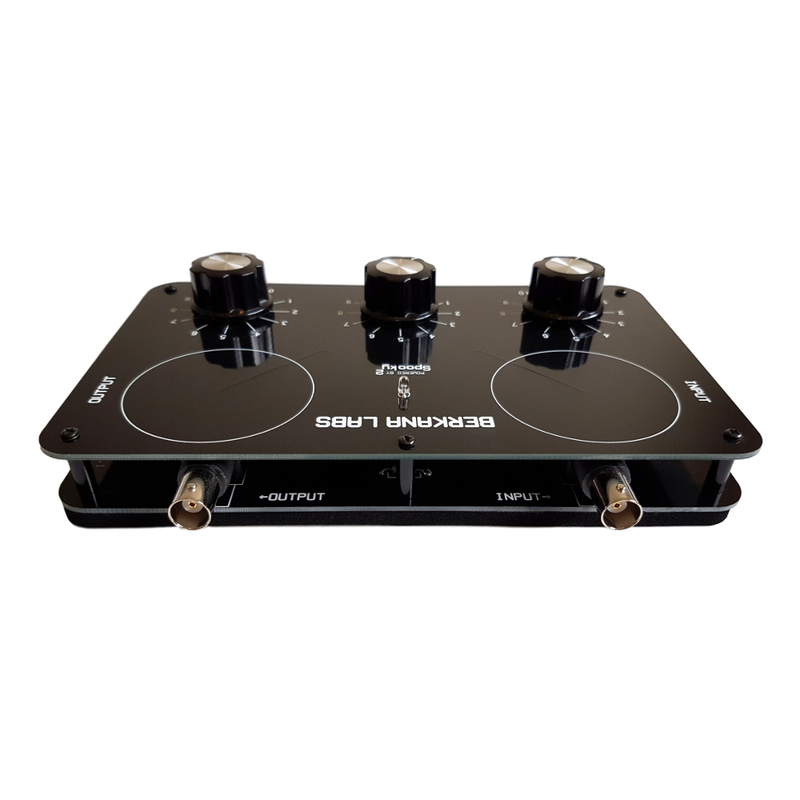 Devices are "burnt in" with proprietary frequency sweeps on the XM generator and tested with a range of Spooky2 accessories to guarantee optimal performance. If you have any questions please feel free to contact me and I will reply as soon as possible. 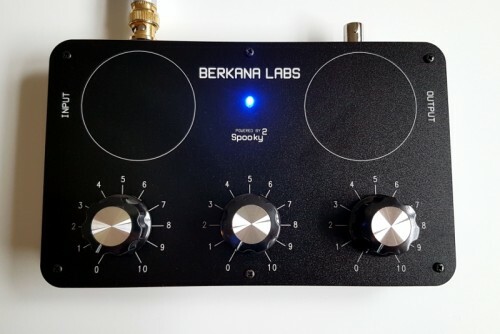 Further information can be found on the Spooky Forum where you can ask for advice and help from people who also own Spooky Radionics machines, and have had great success with them. 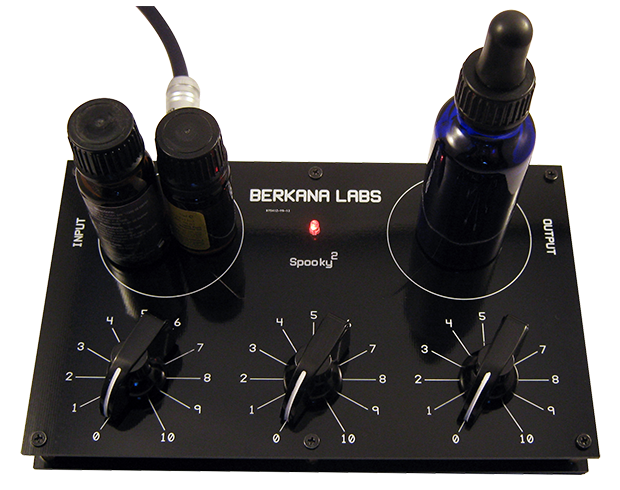 Spooky Radionics is being used successfully in homes and clinics all over the world. From first time users of radionics to professional practitioners. This radionics machine is providing great results, and like Spooky will continue to, grow, adapt and expand.